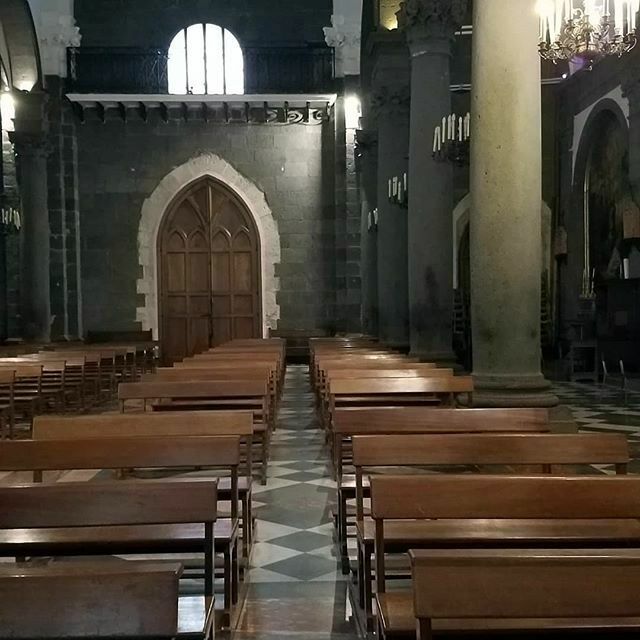 The interior of Basilica di Santa Maria in Randazzo, the features basalt/lava on most of the interior surfaces. It was stunning. It makes my list of favorite churches; along with Cathedral Basilica of Saint Louis and Gaudi's La Sagrada Familia in Barcelona.